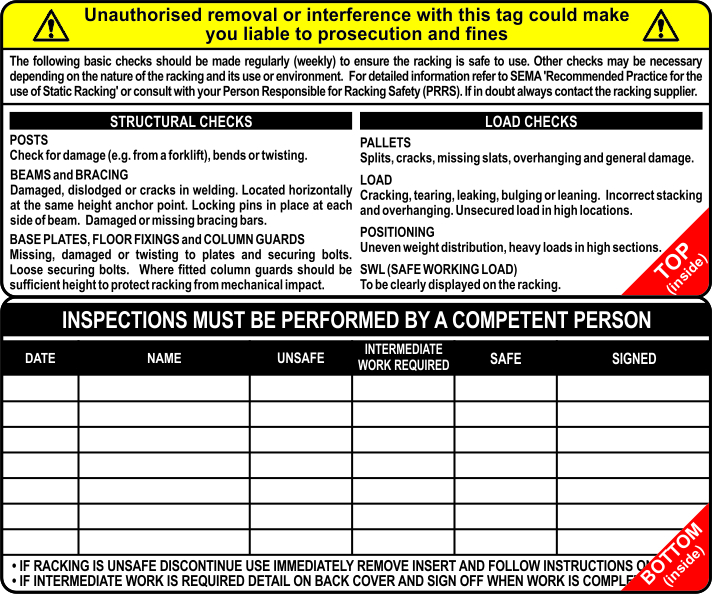 Due to the inherent weight, size and loads that modern day racking can attain, they must be checked regularly to ensure the safety of staff and visitors in the vicinity. Our warehouse tag holders are designed to be fixed to the crossbeams of the racking and display a racking safety message. Box Kit consists of 10 holders, 20 inserts and 2 pens or order packs of holders and inserts separately.